It's been some time since the Playground Limited Time Mode was put back into the workshop for the developers to evaluate feedback. After a bumpy, and delayed initial launch period, the Playground LTM was a complete hit for the community. From both, a casual perspective and professional one, the Playground LTM had something special to offer. Epic Games has been working on implementing more features into the​ ​Playground LTM, and even stated that they would be planning on making it a permanent one. This is great news because the Playground Mode plays a special role for every part of the ​Fortnite community. Epic announced ​earlier in the year it plans to provide $100 million in esports tournament prize pools. This announcement was its entryway into esports, and how they were going to go big with it. The number is actually not shocking, ​since its made over $300 million in just one month alone. Many notable teams such as TSM, Cloud9, and FaZe Clan have been picking up players to play in these tournaments. To everyone I played Playgrounds with today... G TO THE G.
Its insane to look at how far building has progressed and how much people have contributed to pushing it further than any individual could take it. Playground Mode was an essential part for professional players to hone their skills. Since gathering resources is extremely easy, players could jump in and out of build fights against one another. The captain for TSM's Fortnite team, Ali "Myth" Kabbani was one of many professional players who went up against other people of the same caliber. Many of these professional players streamed their time on Playground Mode through Twitch.tv, racking up hours on end practicing against each other. The Playground Mode is essential for the game because it continues to develop more unique and creative ways to build. In the end, what makes Fortnite unique from other Battle Royale games is it's mechanic to allow players to build their own cover. It's also another way for them to practice and maintain that high level in a consistent fashion. Epic Games has ​v​oiced its plans in a blog post about caping the total amount of materials to not be 999 for each stack. Including professional players, other notable influencer's in the Fortnite community ​have stated their opinions on why this should not be an implemented change. Bringing down the material cap will only lower the skill ceiling and hinder players who spend time and effort to practice building. This is where Playground Mode comes into play for everyone. Playground's is not just for the professional players to practice, but for the community as well. If someone is not as confident in their building skills, they can hop onto the playground mode and train at their own pace. They can practice as much as they want until they feel confident enough to take those skills into real matches. Fortnite in the esports scene is a spectator sports, just like many others. Seeing a team of players building at lightning speed against each other is exciting to see. Nerfing materials just means seeing more stationary fights, when in the end, it's just a matter of who can aim better. Although eliminations might not be an incentive right now, so many players do camp, Epic Games is working around to address this style of play. 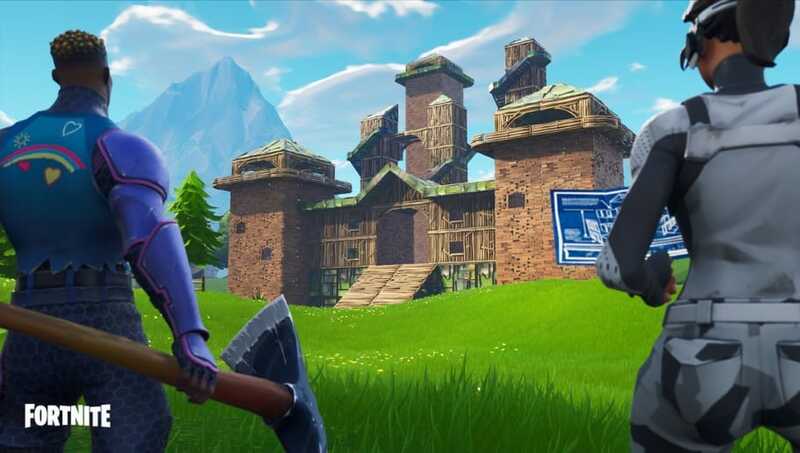 Making Playground Mode a permanent feature will help keep the structure of the game, bringing new possibilities in terms of creativity and building. In addition to that, it will constantly keep the game fresh because of all the content Epic Games puts out on a consistent basis. That means, as the game evolves, Playground Mode will do so in a similar fashion.